Fitzii provides tools for hiring, which include an applicant tracking system, a job posting platform, assessment tools, and a hiring advisor. 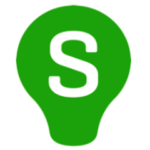 It helps users to increase their recruiting success and get top-notch candidates. In this article, we cover its pricing options. Ready to get started with Fitzii? Sign up for free. As of the date this article was written (01/04/19), there are no up-to-date user reviews of Fitzii online. If you are a past or current Fitzii customer, leave a review to help other business owners who are deciding whether or not to use the software. Fitzii has a free plan and four paid subscription packages: Post ($195/job posting), Advertised ($1,080), Shortlisted ($2,490), and Qualified ($3,490). The main difference between the plans is the functionality they provide. Ready to get started with Fitzii? Sign up for free. 7 Best Free Applicant Tracking Systems (ATS) for 2018 — Applicant tracking systems (ATS) are software that HR, recruiters and hiring managers use to save time and source the best candidates. An ATS keeps track of job applicants throughout the recruiting process—from job posting to hire. Read this guide to find out what ATS software would fit your small business needs in terms of cost, ease of use, and features. Fitzii is optimized to work in all modern browsers. The company recommends using an up-to-date version of Chrome, Safari, Firefox, or Internet Explorer 10 or later to get full access to all functionality and best performance. How secure are the applicants’ information? Not sure if Fitzii is the right fit for you? 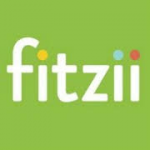 Read our reviews of all top recruitment software providers or check out one of these three Fitzii competitors.